There’s a world of plant-based baking and pastry making that has yet to scratch the surface of what is possible in the Vegan world. I’m excited what the future has in store because the reality of it all is, we don’t need milk or eggs (Traditional Baking), to make delicious pastries. In fact, we can use great alternatives, such as apple sauce, tofu, chia seeds, almond milk, and stuff we haven’t even discovered yet. This is the beauty of why Vegan food is so great. But, let’s not forget that regardless of whether it is Vegan or not, does the food actually taste good? Does Non-Vegan baking outshine Vegan baking? I’ve teamed up with Samantha at Pig Out Vegan Foods to prove to the world that Vegan baking and pastry making taste amazing and can compete with any other pastry out there. 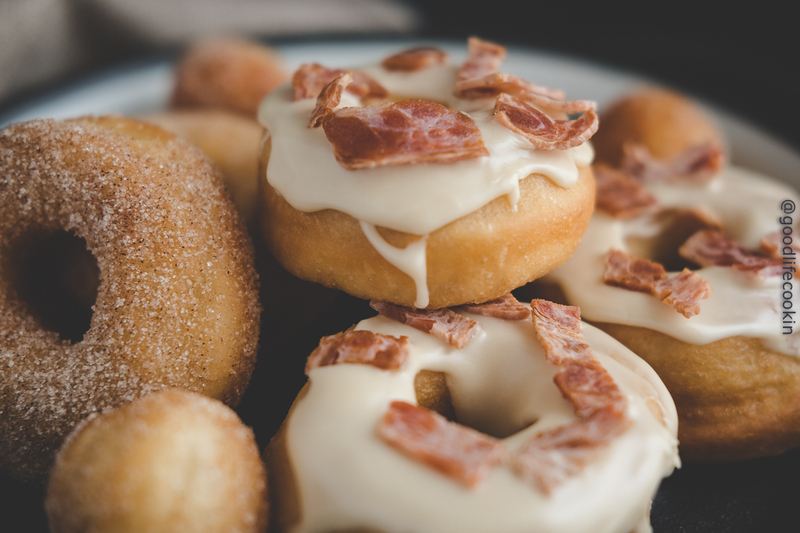 In this latest episode, Samantha breaks down her methods of cooking up delicious maple bacon donuts. These donuts are so good and perfect for the holiday season! If you’re local to the Bay Area, you don’t want to miss the opportunity to try these donuts! Follow Pig Out Vegan Foods!